Welcome! You're a bit early to the party, friend. Voting opens Monday, October 29th. Voting for the 2018 Pacific Eye Gives Back Challenge is now CLOSED! Thank you to all who showed their support to help us donate $10,000 to ten fantastic organizations here on the Central Coast. Stay tuned in the coming weeks when we announce our top winners and present the organizations with their prizes! The 2018 Pacific Eye Gives Back Challenge has begun! Vote for your favorite charities now through Thanksgiving Day! 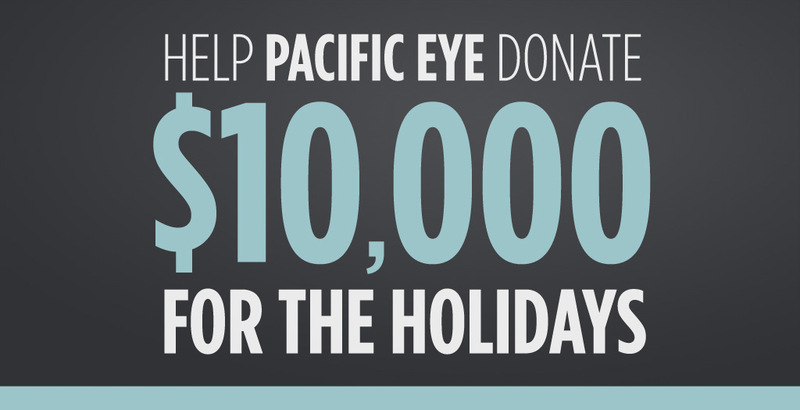 Votes will be collected through PacEyeMD.com, Pacific Eye's Facebook page, and in-person at each Pacific Eye office. You may vote once every 24 hours starting Monday, October 29th through midnight on November 22nd. Phone numbers collected will only be used for voter tracking purposes (to prevent fraud) and will never be used for any future Pacific Eye advertising. Winners will be announced in December. First Prize $5000, Second Prize $2250, Third Prize $1000, $250 to all other organizations. Total donations are equal to $10,000.